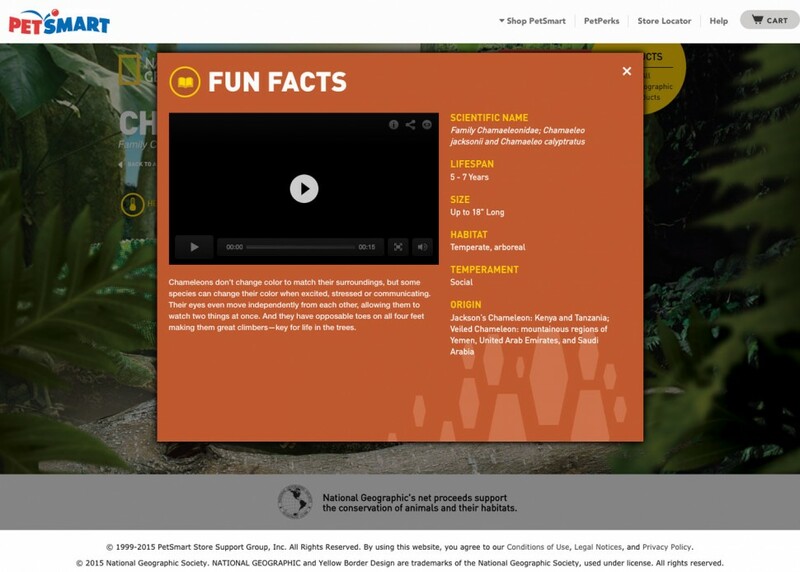 A microsite experience built for PetSmart to utilize the National Geographic brand, knowledge and products available in the new line at PetSmart stores. 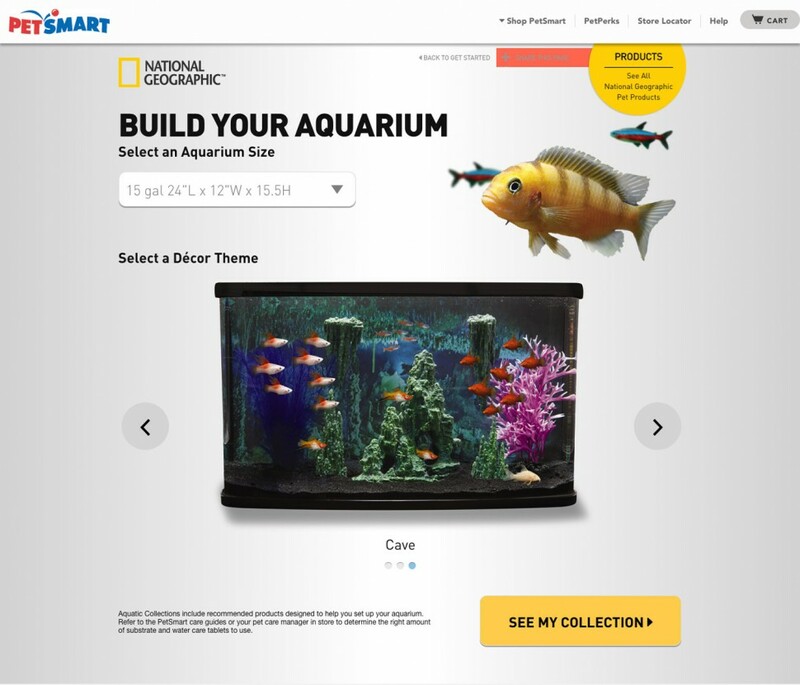 One of the product launches at PetSmart included a collaboration with National Geographic to create habitats and decor for fish, reptiles and small pets. 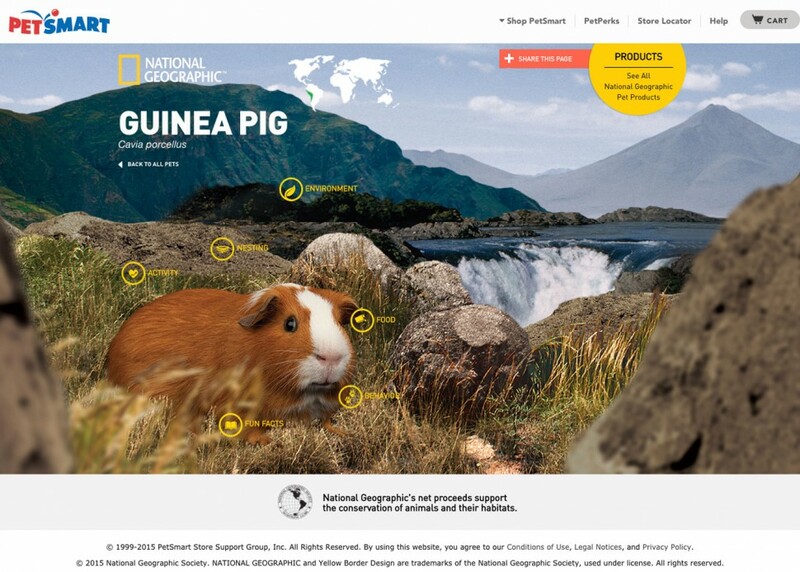 The goal was to showcase several of the creatures that PetSmart had products for while also utilizing National Geographic’s deep archive of photography, facts and care tips. 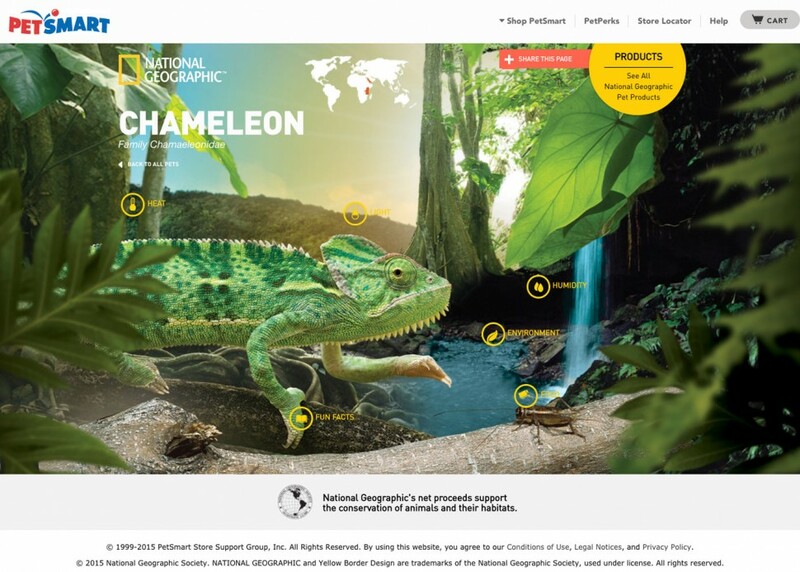 In collaboration with the PetSmart digital team, Stacy Najim and the development agency iCrossing, we wanted something more immersive, the National Geographic brand was a very wild and visual brand, anything that included a full world on screen was the goal. We found inspiration with the Disneyland Park viewer, which puts a full virtual map of the park to browse, in addition to a few parallax, visual example, we put together quick concepts and sketches to begin the world seen below. The world created was engaging and provided valuable information while promoting both brands effectively. 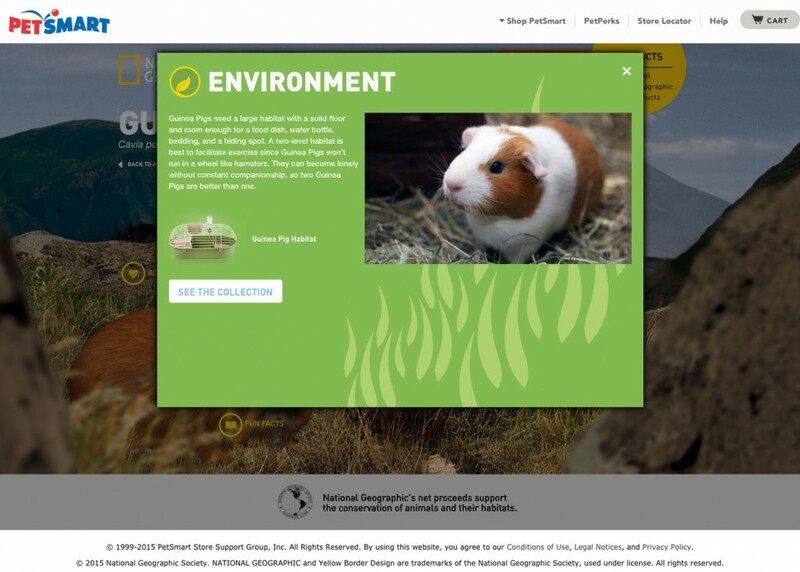 The traffic to the micro-site was among the highest of any of PetSmart’s micro-experiences at the time. 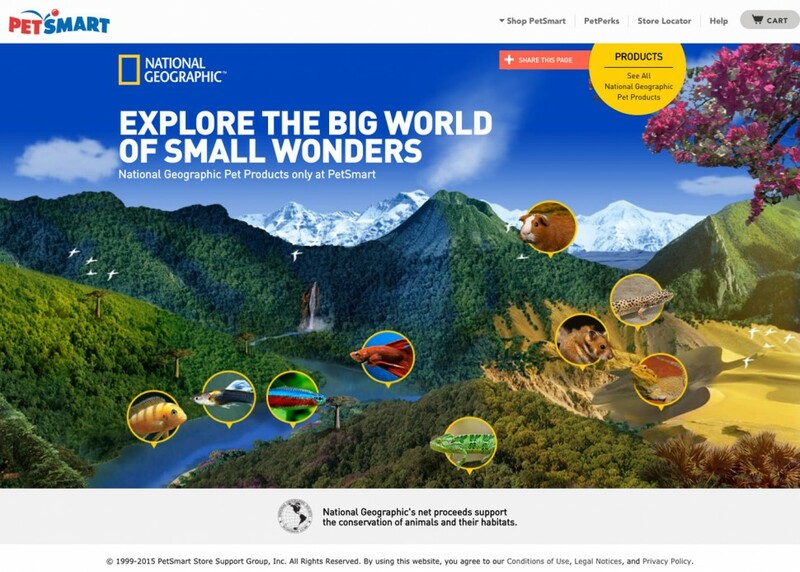 The site also won an OMMA award for digital excellence. After launch one of the opportunities we saw was a quick option to browse products. 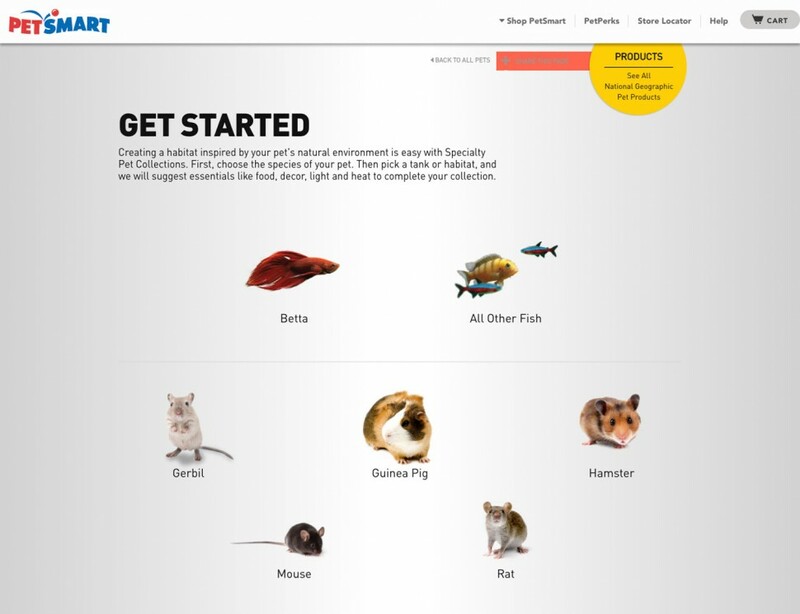 I led the design direction collaborating with the iCrossing development team on implementing a quick grid of species with fast navigation to select product type and browse decor options before jumping over to the PetSmart cart for purchasing.